The Houston Property Managers Get Artsy! Many of our team members look forward to their fourth quarterly meeting of the year where they have a chance to get out of the office setting and jump into something a bit more outside the box. The Q4 Houston Property Manager meeting was no exception this year! 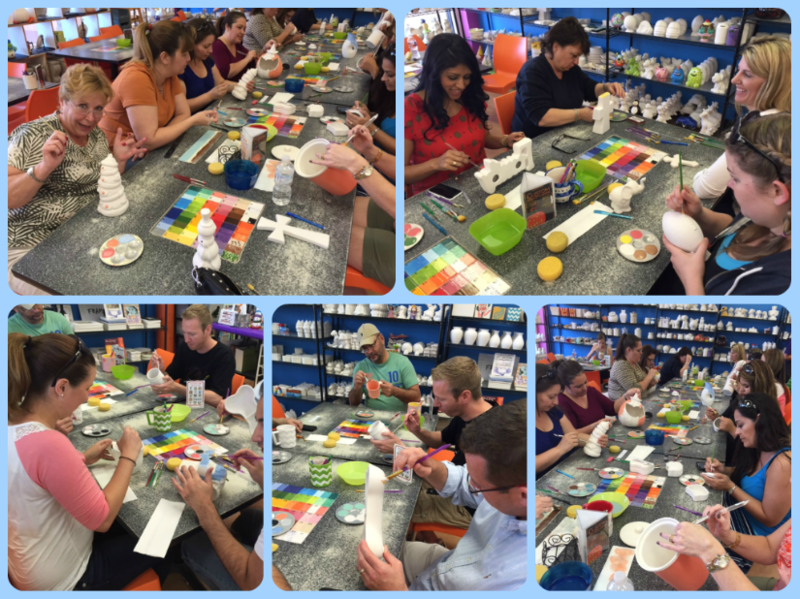 The Houston managers had a chance to get together at Mad Potter and let their creative sides shine! Upon arrival they pulled out brushes, paint, and their favorite pottery palate then quickly got to work making their own personal masterpieces. Check out all the determined and focused looks on the faces of our up-and-coming artists below! Way to put the left side of your brains to work Houston Property Managers! Beautiful work!